According to nytimes.com, Mr. Trump said he would instead attend another parade planned at Joint Base Andrews this year and a military parade in Paris. A day earlier, the Pentagon said Mr. Trump’s parade to celebrate the military could be postponed to 2019, as officials said the event could cost more than $90 million. The parade was initially scheduled for Nov. 10 of this year. In his tweet, Mr. Trump allowed for the possibility of a parade in 2019. Mr. Trump, who enjoys military history, called last year for a parade of troops, tanks, jets and other equipment to pass through the streets of the nation’s capital. Early cost estimates for the fanfare were for between $10 million and $30 million; CNBC first reported the new $90 million figure. 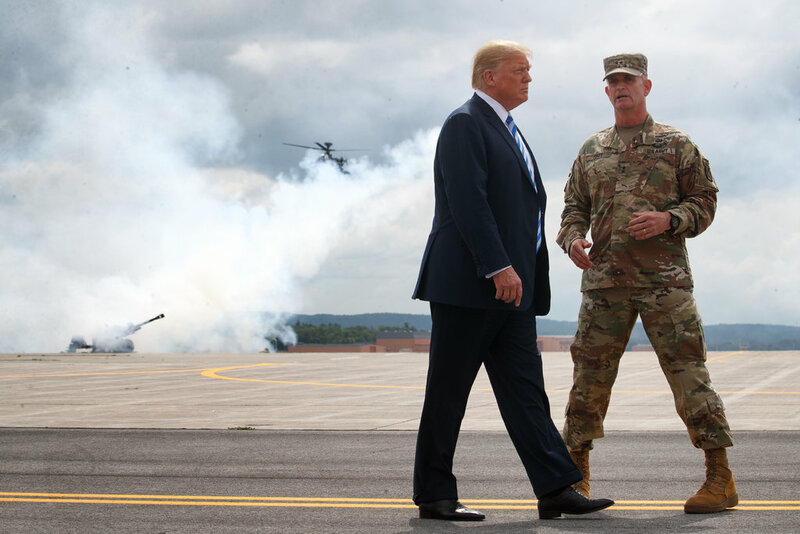 The president acknowledged the high price of the parade and suggested that the money the government would save could go toward purchasing more military jets. It was not immediately clear which parade the president plans to attend at Andrews. Mr. Trump was impressed by a Bastille Day parade that he attended in in Paris in July 2017. The city is scheduled to hold its annual Armistice Day parade in November.